Providing health care services has the potential to be stressful under any circumstances. If you support that statement, you must agree that attitude has a lot to do with how you handle your situation. Stress is a general term that includes the physical, behavioral, emotional and cognitive responses that an individual makes to a disruptive event.¹ How an individual responds to a potentially disruptive event will determine how stressful that disruption is likely to become. A caregiver, for example, is able to reduce or heighten his or her stress level by choosing the manner in which he or she responds to circumstances in the work place. This way of thinking allows a person to take control of his or her situation and not be controlled by it. According to Weiten, optimism, conscientious behavior, and social support can help a caregiver moderate stress.² A successful response to a stressful condition often results from efforts made in hope of a favorable outcome. Optimism and effort to resolve conflict or positively approach a difficult situation typically reduce the stress involved. The decisions and actions of an individual adept at handling obstacles come from self-confidence and a strong sense of support. Moderating stress involves more than a caregiver controlling the way he or she handles a situation, it also involves feeling supported in the work being done. It is important for caregivers to find a strong network of peers and other outlets on which to rely for mental, physical, emotional help. 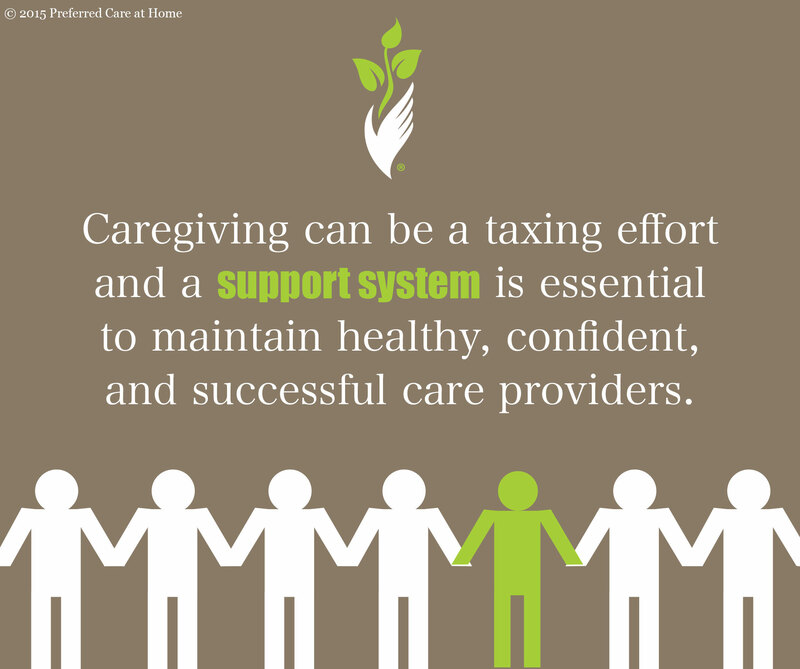 Caregiving can be a taxing effort and a support system is essential to maintain healthy, confident, and successful care providers. Every caregiver has a different way of handling his or her stressful work environment. Coping mechanisms begin with a simple evaluation of the perceived stressor. Psychologists call this evaluation ‘cognitive appraisal’. The objectivity in such a process originates from a positive attitude. Optimism allows an individual to manage stress in more adaptive ways such as engaging in coping mechanisms that focus on problem solving.³ For example, if a patient is persistently uncooperative in performing a specific task, you as the caregiver use this as an opportunity to find another way your patient can have success with this task. The most common reason that a positive outlook may not bring success is the caregiver who works above his or her means. It is important in any line of work to assess your abilities and be aware or your weaknesses and strengths and to seek help, if possible, before it is needed. As healthcare providers, we want to give our patients/families the best of ourselves but not that which is outside of our skills. While there may be a noble effort made by the caregiver, working beyond your capacity adds unneeded stress and suffrage to the patient. The management and moderation of stress for the caregiver is a multifaceted process involving evaluation from within and support from without. Ultimately, it is the choices the caregiver makes that determines how stress will be managed. 2 Weiten, Psychology: Themes and Variations, (2010), Wadsworth Learning, pp. 556-557. 3 Aspinwall, Richter & Hoffman; “Optimism in adaptive moderation of belief and behavior” (2001). In Chang (Ed. ), Optimism and pessimism: Implications for theory, research, and practice (pp. 217-238).